Royalmont Academy | Bolden Instrument, Inc. Microscope Sales, Service and Repair in Cincinnati, Ohio. 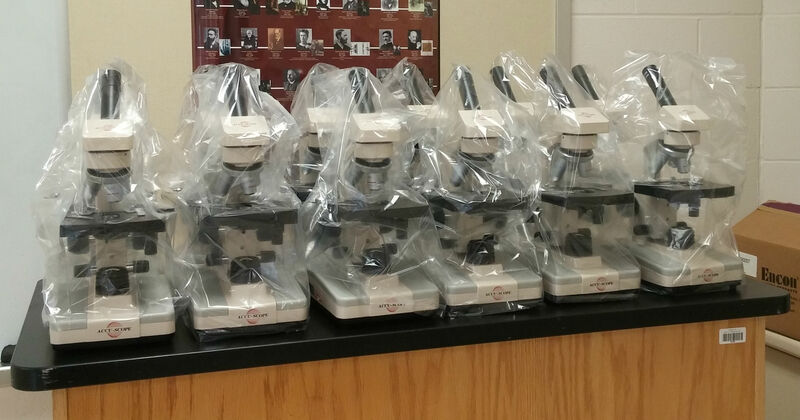 Bolden Instrument, Inc. has recently cleaned and serviced the microscopes at Royalmont Academy, so they’re ready for another great school year! To learn more visit Royalmont Academy or see below for upcoming events. In 1996, a group of families came together to create a school rich in the Catholic faith with high academic standards. Today 20 years later, Royalmont Academy is home to The Preschool at Royalmont Academy, grades Kindergarten through 8th and Royalmont Academy Classical Preparatory High School. October 9th at 9:00 a.m.
Watch, Learn, Listen, Sing, Dance and Create as the Word of God comes to life for you and your child! HIGH SCHOOL OPEN HOUSE – Welcome to RACP High School! October 17, 2015, 6:30-8:30 p.m.
Meet Principal Courtney Brown, discuss curriculum and walk the halls where your child will continue to build their future. It all happens soon, mark your calendars and reserve your spot today! Keeping Laboratory Managers abreast of the Microscope Industry. A zoo for thought experiments.